Manchester United legend and assistant coach under David Moyes and Louis Van Gaal, Ryan Giggs has agreed to end his working relationship with the club after 29 years of service, according to an exclusive report from Mirror UK. 'United's most decorated player is back from a break in Dubai and is said to be ready to leave Old Trafford for a new challenge. 'Although Giggs has a huge emotional bond with United, it is understood he is ready to break it to prove himself as a manager in his own right. 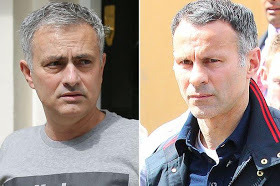 'After a year as a player-coach under Moyes and two seasons as Van Gaal's assistant, Giggs now considers himself ready to take on a managerial role and prove himself outside of Old Trafford.